Are you looking for something a little different to offer your school's families for their school portraits? Something more genuine that helps to bring out what's beautifully unique about the child? Something that parents will actually want to hang on their walls? Welcome to Boutique School Photography! Below are some FAQ's that will hopefully give you some helpful information! 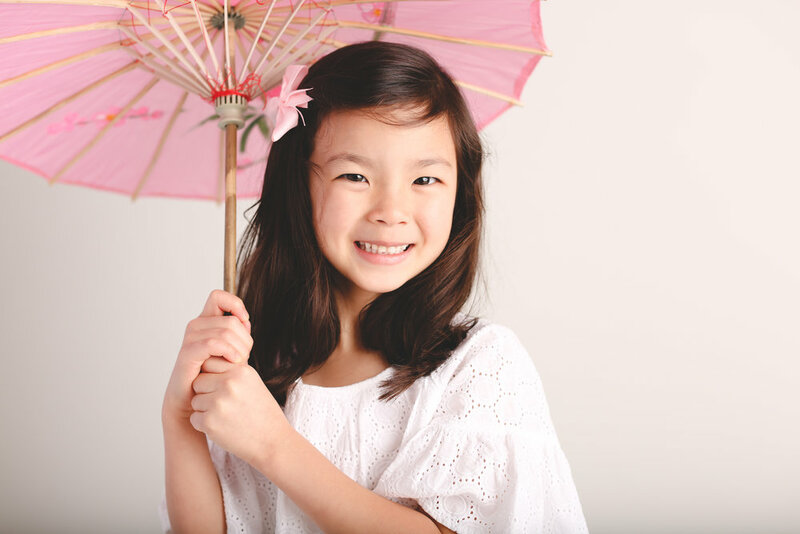 Boutique School Photography is a custom photography experience for select schools (including preschools) in the Atlanta metropolitan area. We provide a personal and professional service and a product that delivers genuine, artistic images of children. The atmosphere for the children is easy and laid-back with a timeless feel: no busy backdrops! Our light-hearted approach to school photography allows us to provide an experience for the kids that's fun, easy-going, and captures them with natural expressions that can range from pensive to sweet to silly. We do not force smiles or awkward poses. The resulting images are relaxed and as unique as the child. We provide all equipment needed for photo day. Depending on your school, we may or may not ask for parent volunteers on photo day. We compensate each volunteer with $25 in credit to be used towards their own child’s photos. It's important to us that the proofing and ordering process be super easy for the families. Each family will have access to a private online gallery containing their child's images in both color and B&W. The family then selects the images they'd like to order, with options for both print and digital format. I also provide boutique product choices such as prints and canvas gallery wraps. All viewing and ordering are done online for a stress-free and convenient experience. No paper forms to lose! We handle all questions and communication from parents regarding ordering process. We can work with your school to create a custom experience that meets your needs! What are the costs to the school and to parents? There is no cost to the school for photo day; all profit is made from orders. Our pricing is competitive, with a variety of options to accommodate everyone. Parents only order what they want with no obligation or minimum required purchase. It depends! Prior to the event, we will walk the school grounds and look for a location that offers the best lighting options for you. It could be under a canopy outside, or inside in front of a bank of windows, or we may decide that studio lighting will best suit your situation. We will have a $1 million general liability policy for the days we are on location, and a copy of the declaration page of the policy will be provided to you before the event. How long will it take to photograph all of the students? Photographs of this nature are best taken in the morning hours from 8:30 am to 12:00 pm because it all occurs before lunch when picture day clothes can get messy! Days on location depends on participation numbers, but we generally allot about 1 ½ minutes per child. We can work with you to minimize disruptions by photographing several days in a row, or photographing every other day over the course of a couple of weeks. Once we are provided with class rosters and schedules, we can provide you with timetables of the shoots. Will you have assistants to help? Typically one photographer assistant will accompany us during a shoot. We do ask for parent volunteers because the children are always more at ease when friendly faces are around to assist, but we understand that not all schools have volunteer chains in place. Parent volunteers are compensated with a $25 credit to be used however they wish toward student photos. If parent volunteers are not available, then someone from our team will serve as photographer assistant. Add a digital single to any School Collection I, II, or III and add the matching digital single for $15. Because our entire system is hosted online, proofs are viewed online, and all orders and payments are processed online. The school does not handle forms, printed proofs, or payments. The whole process is designed to be stress-free and convenient for both the school personnel and the families. We'd love to chat with you more about bringing this service to your school. Please fill out the form below to get in touch!